After my last new trombone at the beginning of the 90s, a great Benge, I wanted to test the technical progress to buy a much better trombone than my current ones, even to get new motivation for tromboning. The 891Z is a great tool. It sounds very clear in all registers. The train runs easily. But: My 1972 Conn constellation does not beat them. In comparison, the heat in the sound and ultimately this absolute exactness of the tones at the height b1, d2, f2 are missing. 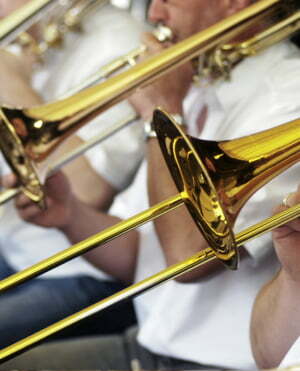 The Yamaha YSL-891 Z is the best trombone I've ever had in my hands. Very good response, homogenous sound in all positions. Outstanding processing. And: not so important, but happy: a very nice and light suitcase. Nachsatz after kapp 4 years: still totally satisfied. ID: 226981 © 1996–2019 Thomann GmbH Thomann loves you, because you rock!